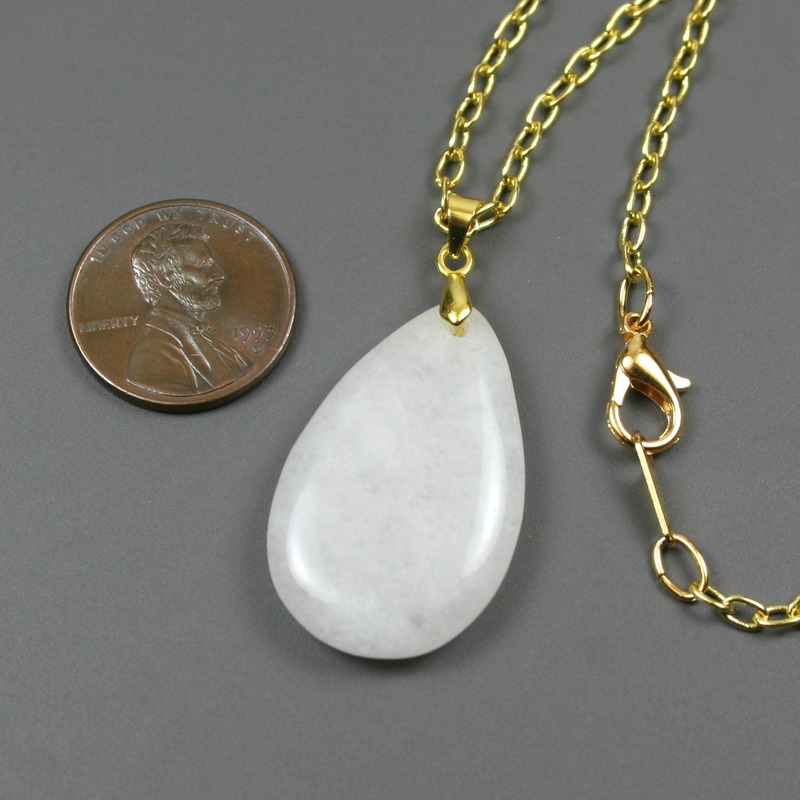 This pendant is made from a white Malaysian "jade" teardrop pendant (30x19mm) attached to a bright brass chain using a small gold plated swing bail. 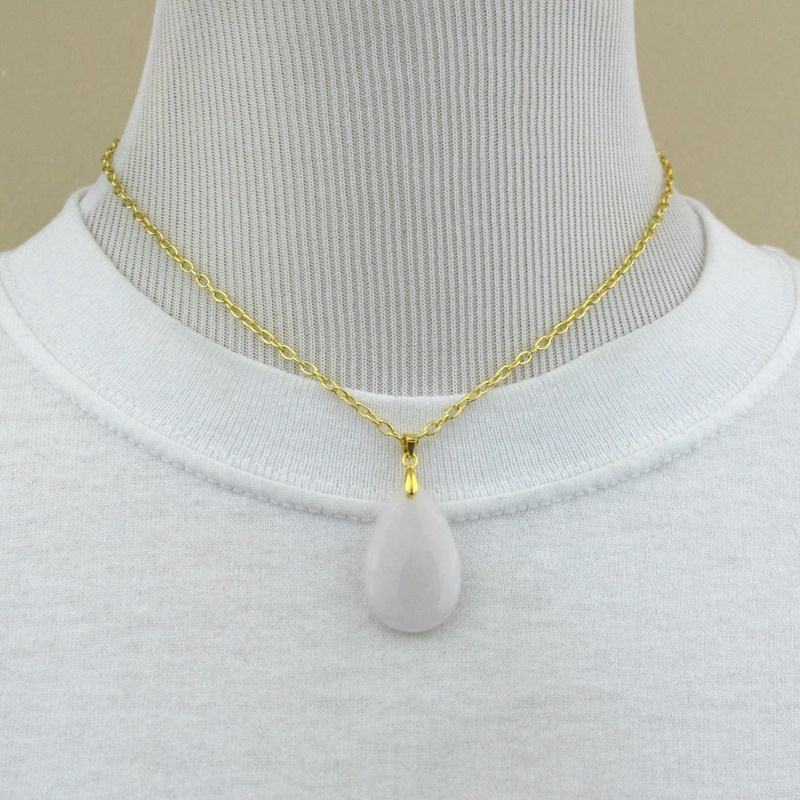 The necklace chain is approximately 16 inches long and closes with a gold plated lobster clasp. 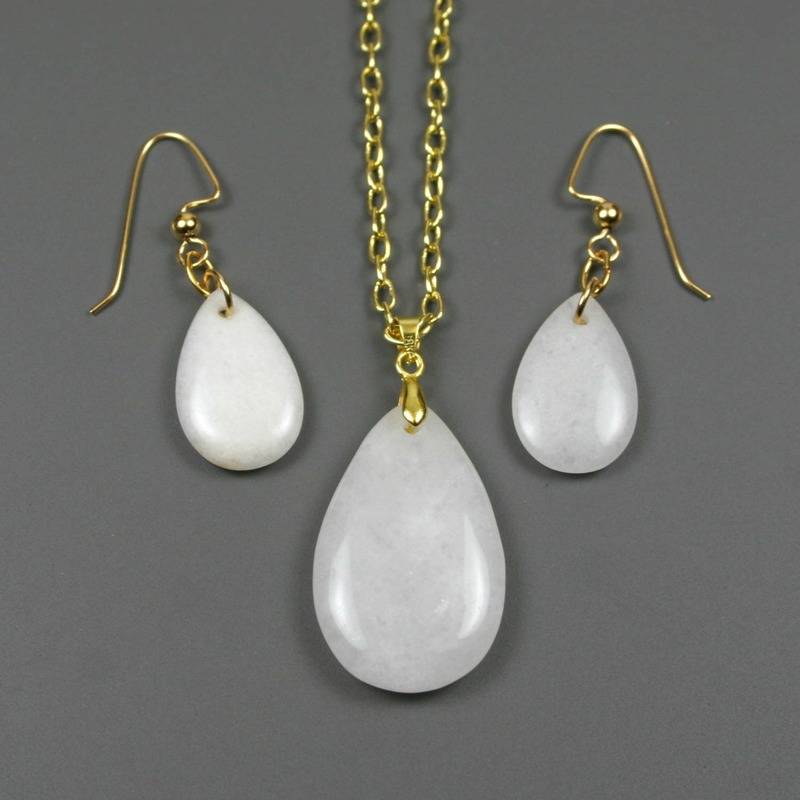 The necklace comes with matching drop earrings made from smaller white Malaysian "jade" stone teardrops (20x13mm) dangling from gold plated ear wires. 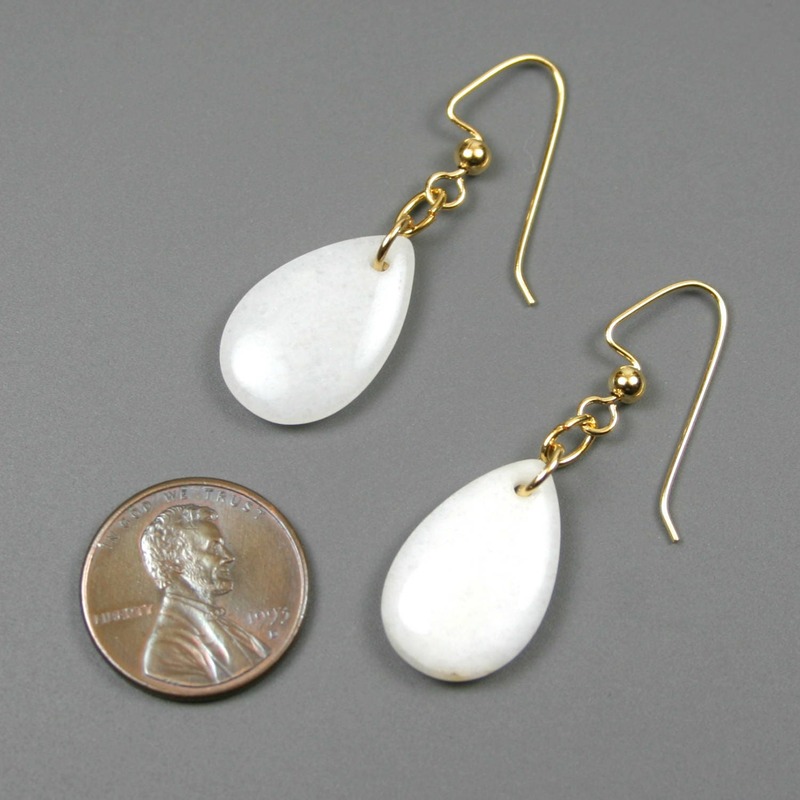 The bottom of the earrings hangs approximately 42 mm from the top of the ear wires. 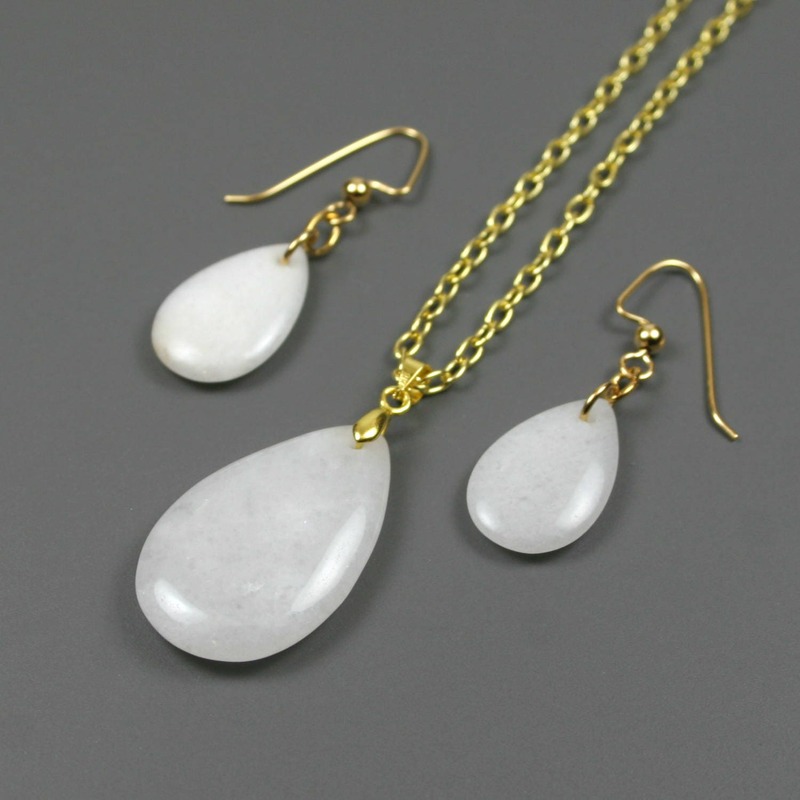 Malaysia "jade" is a tradename used for translucent quartz, usually chalcedony, and is sometimes dyed into a variety of colors. 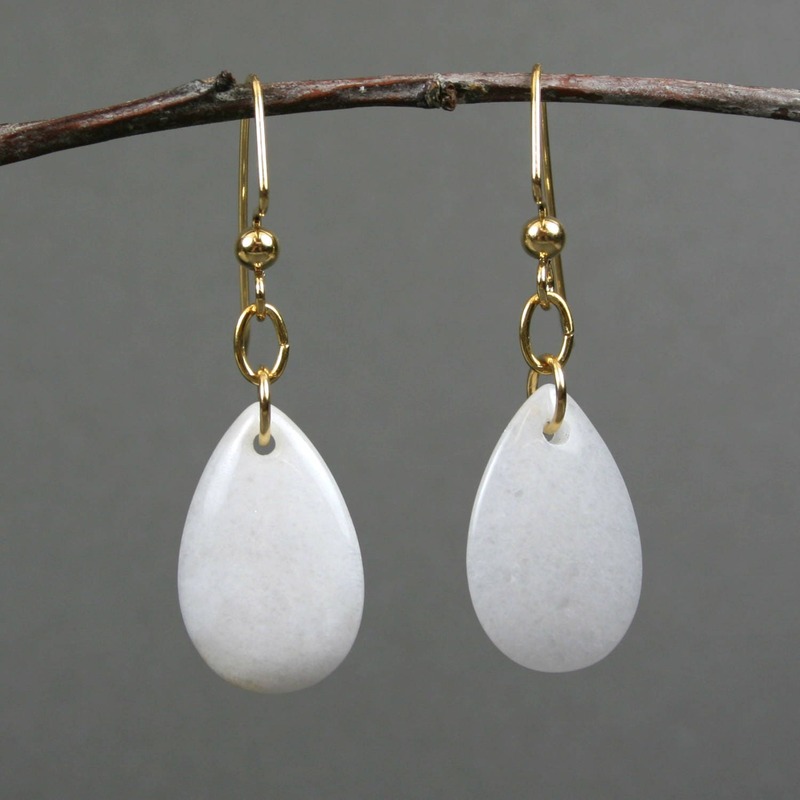 These specimens are white and resemble snow quartz.